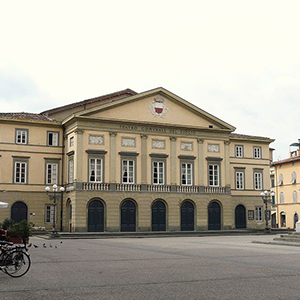 The Giglio, traditionally the artistic and cultural reference point of the city of Lucca, obtained recognition as Teatro di Tradizione (Tradition Theatre) in 1985. 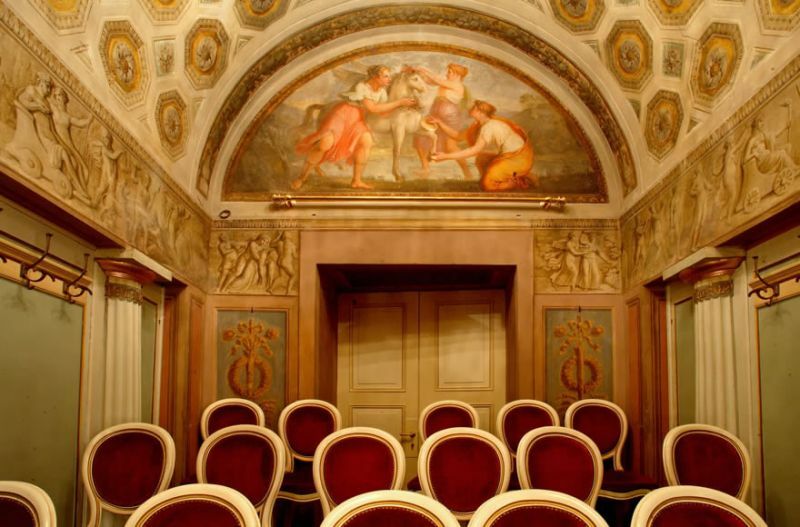 Its birth dates back to over three centuries ago, when the Consiglio della Repubblica di Lucca (General Council of the Republic of Lucca) established, through a decree, a public theatre that witnessed an intense artistic activity in the course of the centuries. 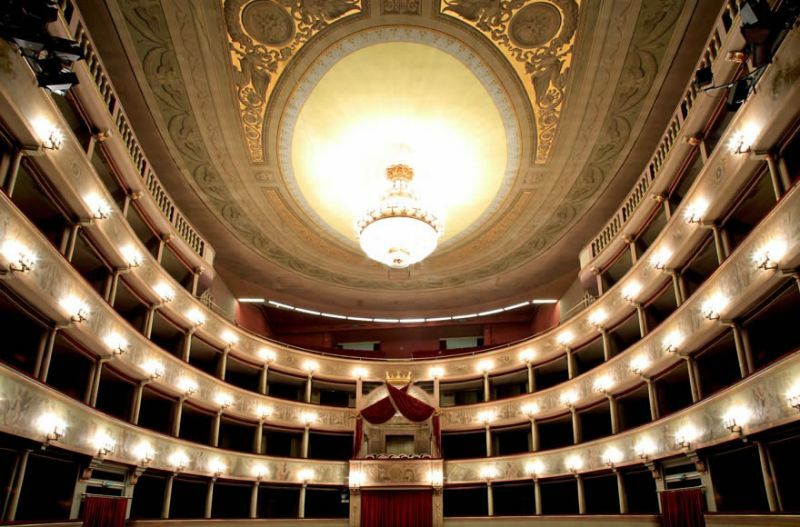 Throughout the 19th century, the Teatro del Giglio hosted the major companies present on the Italian scene: concerts, dance recitals, variety and above all, melodrama performances followed one another on the stage and the most famous names of the times (the tenor Tacchinardi, Duprez, the soprano Maria Malibran...) came to perform on its small stage. Giacomo Puccini himself (the great composer who, as is well known, has Lucchese origins) came to Lucca to oversee the work behind the staging of some of his works. The activity of the Teatro del Giglio is articulated into Seasons. Among these, one stands out for importance and involvement: the Lyrical Season which, as per tradition, inaugurates the theatrical season. Throughout the winter months and up until late spring, the Prose Season, the Dance Season and the concert season calledLucca in Musica (in collaboration with the Associazione Musicale Lucchese) follow one another. In spring and fall, aperitif concerts are held on Sunday mornings. The Teatro del Giglio also performs training activities with initiatives and laboratories organized for schools and dedicates to the little ones a series of shows within the "Teatro ragazzi" (Children’s Theatre) which usually coincides with the school year. Every didactic activity finds its natural training support in the Library located in the building that hosts the theatre, where those who want to further every type of knowledge and research on the world of entertainment can consult and borrow books. 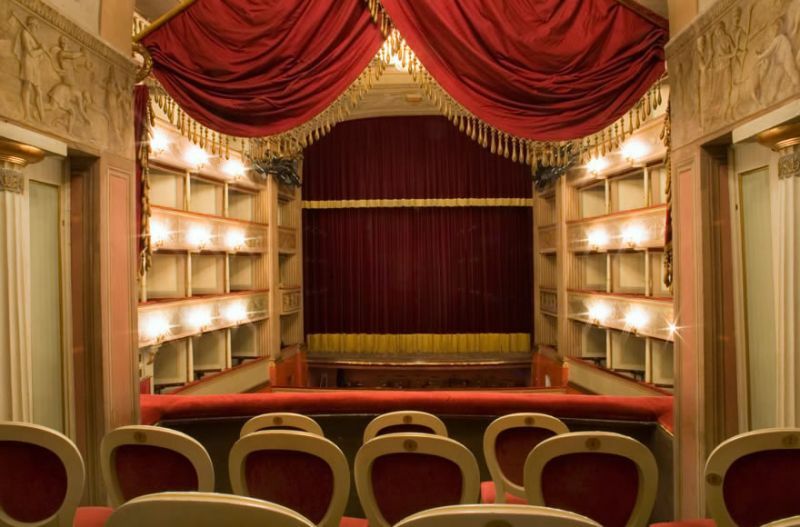 The Teatro also hosts the company of the Teatro Del Carretto through which the Teatro del Giglio has for twenty years been co-producing world renowned shows such as Snow White, Romeo and Juliet, The Iliad, A Midsummer Night’s Dream, The Beauty and the Beast, The Odyssey, Pinocchio and Hamlet. Additional opening hours on the days of the performances. Working days, two hours before the beginning of the performance. Sundays or bank holidays, one hour before the beginning of the performance. Tickets are available on line: www.boxol.it (boxoffice). As well as in any boxoffice sales network. For information and telephone bookings with Credit card: tel. 0583 467521.